The Emory Chamber Music Society of Atlanta (ECMSA) celebrates both a $1 million challenge grant by the Abraham J. and Phyllis Katz Foundation and its 20th anniversary season this year. 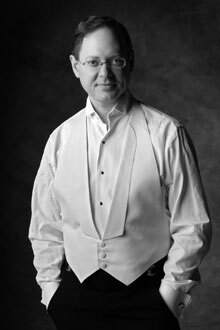 Artistic director William Ransom, Mary Emerson Professor of Piano and Director of Piano Studies at Emory, discusses season highlights and fundraising efforts to keep a permanent string quartet at Emory. In honor of the anniversary season, all ECMSA concerts are free—why? Emory has received an extraordinary $1 million challenge grant from the Abraham J. and Phyllis Katz Foundation to help keep a quartet in residence at Emory and in Atlanta forever. We want to give back to the community which has been so good to us in our development, and so all concerts will be free of charge this season-but we hope the community will reciprocate during our "season of giving" by contributing to the fund drive for the residency—currently held by the wonderful Vega Quartet, the first professional quartet to ever make Atlanta its home base. Working together—like great chamber musicians—we can leave a permanent legacy of great music at Emory. How did ECMSA grow to what it is today? I have always loved chamber music, as much as solo piano—perhaps because I grew up with a sister who plays violin. After coming to Atlanta in 1985 to teach at Emory, I quickly realized that though Atlanta had a first class symphony and opera, there was a real need and opportunity to bring the best of chamber music to the community as well. I formed the Emory Chamber Music Society of Atlanta in 1993 and within a few years we were giving evening concerts, plus noontime and family concerts at the Carlos Museum because I want to reach audiences of all ages. In 20 years, we have grown into the largest and most active chamber music organization in the Southeast. This year, we’re presenting 25 public concerts. And, thanks to the visionary generosity of Cherry Emerson, the ECMSA is permanently endowed and will be part of the cultural landscape of Atlanta forever. Over the years, guest artists have included cellist Yo-Yo Ma, guitarist Eliot Fisk, clarinetist Richard Stoltzman, pianist Christopher O’Riley and jazz great Dave Brubeck, among others. What is the appeal of performing with ECMSA? Chamber music is defined as one on a part, with no conductor. With generally no more than eight players and often just two or three, it’s the most intimate of the performing arts. Most great musicians love chamber music above all other genres because it is so personal and alive. We have some truly remarkable musicians resident in Atlanta, and when you hit just the right mix of musicians and repertoire real magic happens onstage. My job is to make that magic happen at every concert. What can Emory audiences look forward to this year? Since this is our 20th anniversary season, I’ve pulled out all the stops, and it is hard to choose highlights! The Eroica Trio will open the Emerson Series on Sept. 22 together with the Vega Quartet performing "A Night at the Opera, Without the Singers!" The program also features a gala cake and champagne reception and a special appearance by none other than Franz Liszt. Other programs include "A Poet’s Love and Life" with U.S. Poet Laureate Natasha Trethewey, who will read from her work in between Schumann’s song cycle sung by Bradley Howard on Jan. 18. Violinist Timothy Fain, seen on screen and heard on "The Black Swan" soundtrack, will make his Atlanta debut playing Vivaldi’s beloved "Four Seasons" on May 5. Upcoming concerts from the Emory Chamber Music Society of Atlanta include "Musical Fireworks" on Sept. 14 at the Carlos Museum at noon, and the Sept. 22 concert at 8 p.m., "A Night at the Opera, without the Singers!" featuring the Eroica Trio and the Vega String Quartet. All concerts are free.